Fair, social and solid: Striebel Textil GmbH in Langenenslingen is one of Germany's reputable and leading textile recycling companies. During company tours, visitors have the opportunity to take a look behind the scenes of textile recycling to experience and get to know the principles and processes of professional recycling and the reuse of old clothing up close. 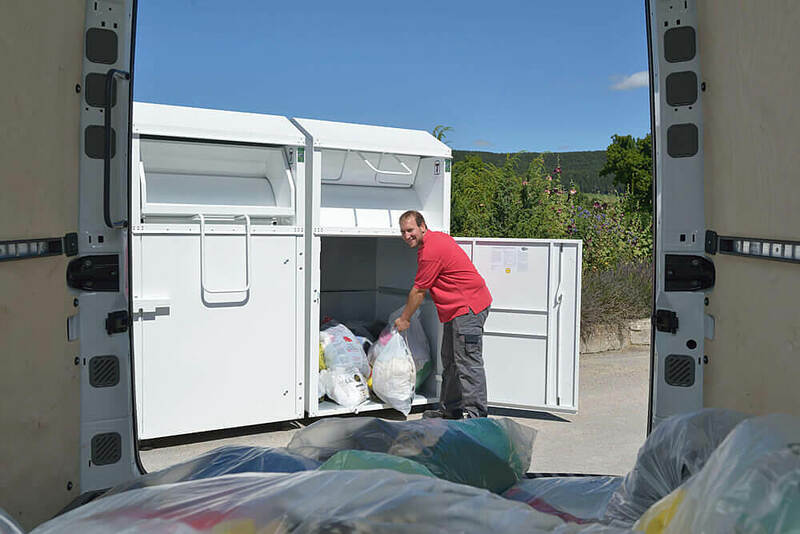 We offer tours and viewings of our sorting facilities to our customers and all interested visiting groups that want to get an inside look into professional recycling of old and used clothing. Naturally, the subject of "textile recycling" is interesting for school classes, associations and organizations that supply us with original goods. We are flexible when it comes to making appointments for company tours. Preferred days and times are Wednesday and Thursday from 8:00 am to 2:00 pm. The tours of our sorting facility are free of charge and available to groups of up to 25 people. The contact partners for company tours at Striebel Textil GmbH are Mr. Bischof and Mr. Gäßler. During company tours, visitors at Striebel Textil GmbH get an inside view of the entire production process. 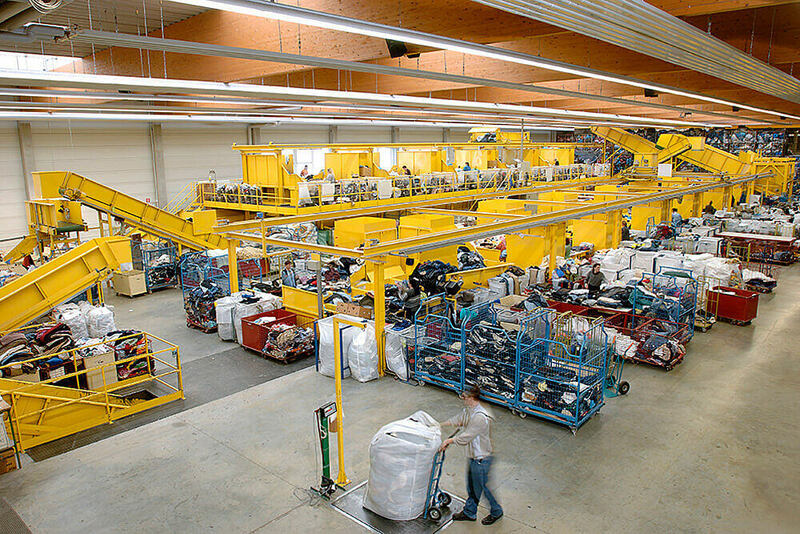 The path taken by used clothing delivered to the company is shown and explained: from receipt of the goods to pre-sorting, sorting and re-sorting and then to transport. Experienced and skilled employees from the company assist the visiting groups and provide a descriptive explanation of how clothes are given a new lease on life at Striebel Textil GmbH.